As parents, you have the wonderful and sometimes stressful responsibility of shaping your child’s educational journey. With seemingly endless options available for your child, it is a challenge to know what can best help their brain development. Learning a second language should be a standout option, regardless of culture or popularity. Today’s world offers opportunities for children that didn’t exist 10 or 20 years ago. The ability to expand a social circle and connect with other children around the world using technology means that they have to be able to communicate with each other. Becoming proficient in a second language opens the door to understanding, appreciating and expanding your child’s view of the world. The challenge lies in generating interest for learning a language and opportunities to practice what your child has learned. Parents have many questions concerning their child learning a second language. Will my child have smaller vocabularies in both languages? How much of the primary and secondary language should my child be exposed to? Should languages be taught to my child simultaneously or sequentially? Harvard Professor Maria Polinsky states that what matters the most is the amount of exposure that the child has to the second language and opportunities to speak that language. The myths of language confusion and children having smaller vocabularies because of a second language are put to rest with repetition and the child developing a love of learning two languages. 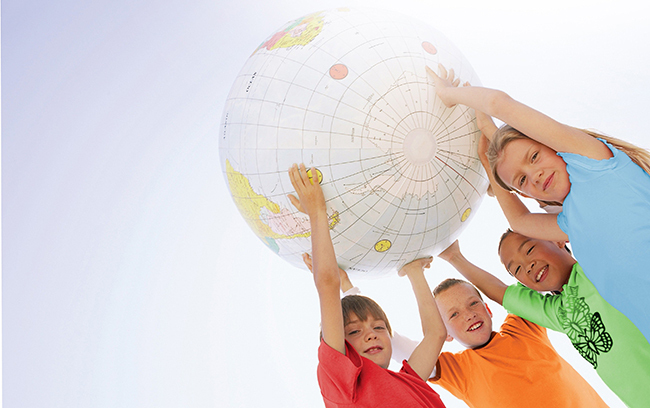 It’s estimated that ⅔ of children worldwide are raised bilingual or multilingual. That is why FasTracKids wants to make learning English as a second or foreign language as much fun as possible. We believe in the cognitive benefits of learning another language while seeing the results in our FasTrack English program. Let your child expand their cultural understanding and communication skills with a second language. You may be surprised what ideas come out of their mouths next!